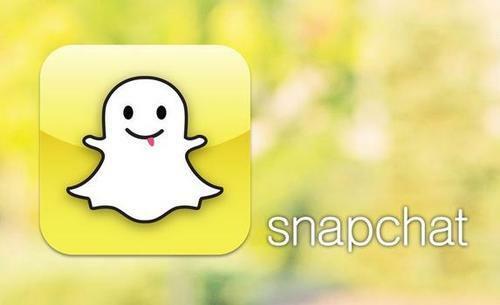 Snapchat is an app that allows you to send photos or short movies to others, which are supposedly ‘erased’ after several seconds. When you send a snap, you choose who it goes to on your list of contacts. It can go to just one contact or to many, and the recipients won’t know who else the snap was sent to. The idea here is to (re)introduce the ‘fleeting moment’ into the networked, mediated disclosures we make through the internet. In this way, Snapchat disturbs the logic of of other networked social media in that a) Snapchat disclosures are ephemeral rather than persistent, and b) the intended ‘audience’ of disclosures is opaque. When we receive a snapchat, we don’t know if it was intended just for us or for many. 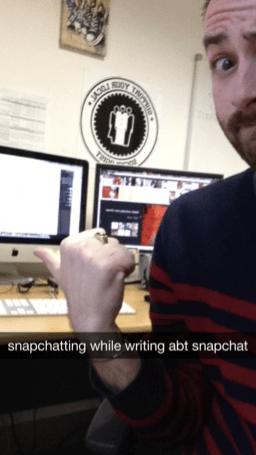 I’ve been using Snapchat for around six months now, and have observed a whole range of practices associated with the app. As the official blurb above alludes to, there are an interesting set of identity performances taking place through the app – anyone for an ugly selfie? Again, these practices seem to defy the prevailing logic of other networked social media associated with impression management and the presentation of an idealised self. Or is there something more complex going on here? Dig a little deeper into the ‘philosophy’ behind Snapchat, and you’ll find a focus on authenticity, which is also a recurrent theme in Zuckerberg’s often critiqued ‘philosophy’ on how Facebook can make the world a more connected and transparent place. Is an ugly selfie taken yesterday more authentic, capturing a more ‘real’ moment, than that professional photo taken of you when you were in that wedding party that one time a couple of years ago? There are a curious set of emerging practices here around replying and engaging in sustained conversation. Within the app, to reply to snaps, you also have to take a photo or video. This is often played out through exchanging selfies with associated text, but the conversation can also shift to other platforms. A tweet to comment on how horrifying that last snap was, or a text message to answer a question posed in a snap, or a longer synchronous conversation over Facebook IM to hash out plans for the weekend. Concerns have been raised around how easy it might be to capture or record images shared through the app, either at the institutional or personal level. The app tells you when someone takes a screencap, but it can’t tell you if someone has a camera hovered over their phone when that snap is opened. Snapchat also fuels the moral panic over ‘sexting’, but that’s a discussion for another time. Whether or not Snapchat persists beyond the fad phase, it certainly raises a series of interesting questions about ephemerality and what constitutes ‘authenticity’ in a networked society. Have you enjoyed the ‘lightness of being’ recently?